Lynn Ghahary :: Pieces of Me ...: A very Bella birthday! Today is a very special person's birthday - the amazing owner and creative mind behind one of my favorite scrapbook company's ... Stephanie Hunt! The Bella design team decided to surprise Stephanie with a very Bella birthday blog hop. For those of you that are just joining me, you will want to be sure to start your hopping here at the Bella blog. I created my card using a combination of new and old Bella products. I just LOVE that it is so easy to mix and match products between different collections and releases. It really helps to make sure I use those products that are in my stash while still letting me play with some brand spankin' new goodies. Stephanie - I hope you have the happiest of birthdays and that all of your birthday wishes come true. I am so very lucky to design for your amazing company and wish you all of the best this next year. Even thought it's Stephanie's birthday, we have some gifts for a few of you lucky readers as well! We know how generous and giving Stephanie is, and we know she would never have a fun blog hop, without a few giveaways up for grabs too. So we got permission from Robin, who works alongside Stephanie in the office, to pick TEN lucky winners, who will each receive a Bella Blvd collection. 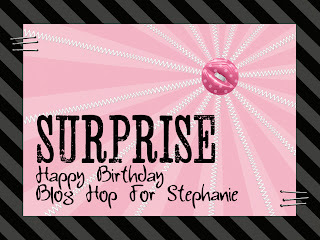 All you need to do to be entered in the random drawings, is to leave Stephanie your birthday wishes on this blog post. You have lots of opportunities to up your chances, since you can leave a comment on each blog you visit, as you go through the blog hop. There are 26 blogs, plus the Bella Blvd blog, for a total of 27 chances to get your name in the pot. We will randomly select winners, from 10 randomly chosen blogs, and announce them on Friday! Wonderul colors! Happy Birthday for sure! I saw it was her bday on facebook. She is really sweet! 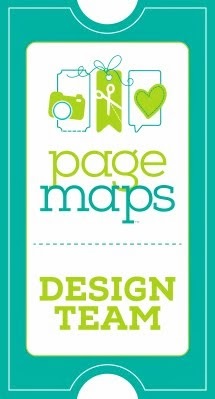 I love your card and how seamlessly the collections meld together! Such a cute card! Thank you Lynn for surprising me on my birthday! You're so awesome! Cute card...love all that purple...Happy Birthday Stephanie. 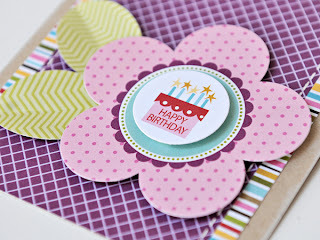 Very pretty card:) HB Stephanie! Happy Birthday Stephanie! CUTE card, Lynn! Happy Birthday Stephanie! cute card. love your card! happy bday Stephanie!! What a pretty card! i love how the sentiment pops off the card! love the clean lines of this card! happy birthday to stephanie. wow!!! 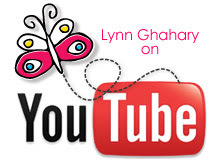 on this blog hop so many dear friends -- hope you are enjoying your day and AlL your comments and posts! Your work is always stunning! Happy Birthday Stephanie! cute card! What a fun hop for Stephanie to celebrate her Birthday! Beautiful card Lynn!! Love how you folded the leaves. Happy Birthday Stephanie! such a pretty card lynn! Happy Birthday Stephanie! This is such a lovely mix of patterns and colors. Just beautiful! Happy Birthday, Stephanie!! Hope it is full of love and laughter!!! What a cute card! I love all of the small prints of patterned paper you used! Happy birthday Stephanie! Beautiful card....I love the purple and pink and the HUGE flower. How adorable!!!!!! TFS! Awesome card! HB Stephanie. Hope it's a great day! That is the best purple! Happy Birthday Stephanie. Happy Birthday Stephanie! Here's to a wonderful year for you! Super cute card for the birthday girl! I love purple!! What a pretty card!! I love the bright colors. Great job on Stephanies card!! The purple is so cheery. Happy happy birthday Stephanie! !what a great way to celebrate!! I always love your cards, and this was simply perfect! This is just so sweet...Happy Birthday to Stephanie..
My favorite thing about Bella is how all the collections coordinate. Genius! HAPPY HAPPY BIRTHDAY STEPHANIE!!!! great card Lynn love the colors! Thanks for sharing your cute card! Happy Birthday to Stephanie! What a fun and happy card! I'm sure Stephanie loves it! Thanks for sharing it. Clean and simple - love it! Such pretty, soft colors. Love it! Happy birthday Stephanie! I love this colours!! Kisses from Italy, Gloria. Very simple, I love it! Happy birthday Stephanie! this card is GREAT--really like it! happy birthday, Stephanie! Fabulous card. Happy Birthday with some lovely purples! More bright flowers to brighten Stephanie's day, and mine too. It is cold and gray today in Vermont, and the flowers are a delight to see. Beautiful card. love all the colors and pattern papers. Happy birthday Stephanie! So pretty love the sentiment being the center of the flower! Happy birthday to Stephanie!! 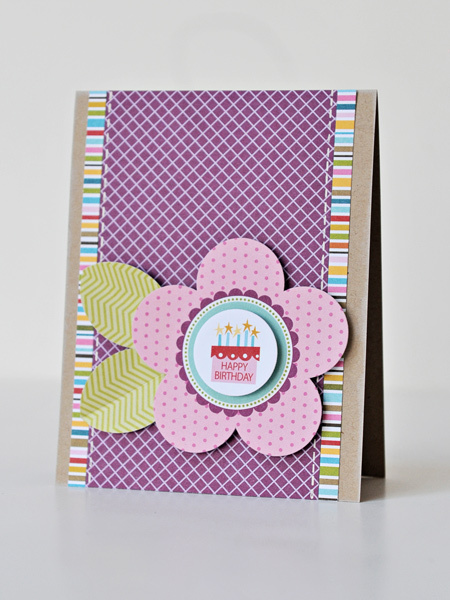 Loving these colorful and sweet birthday cards...Stephanie is going to love it! Beautiful card! Happy bday Stephanie! Happy birthday to Stephanie. 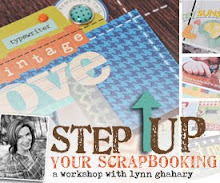 I am loving the blog hop and all the cards. Thanks for the chance to win! I am really enjoying seeing all your wonderful birthday cards! GREAT card, Lynn! LOVE the colors! Love how you used the mix of papers on this one and the cute flower with those chevron leaves!! Adorable! I love this card for Sthefanie! Happy Birthday to a creative genius! LOVE the clean lines - so pretty!